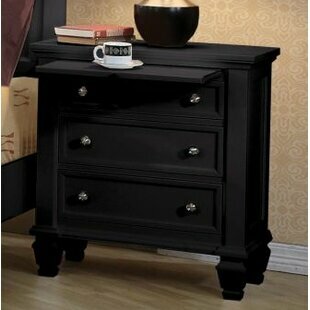 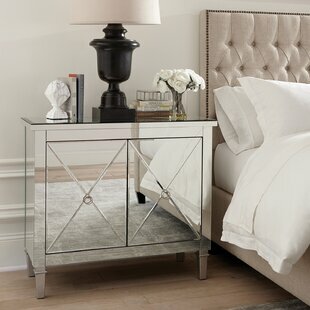 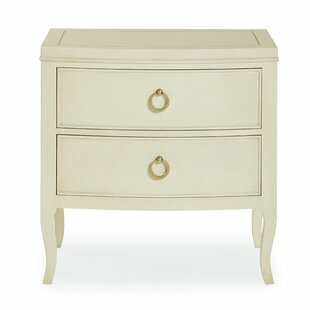 Keep essentials stowed at your bedside and make your display distinctive in the master suite with this nightstand. 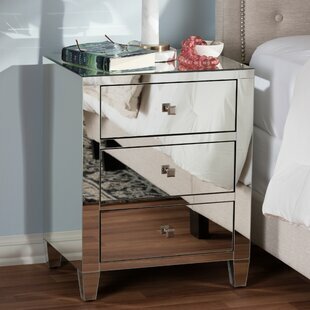 Founded atop four clear acrylic legs, its frame is crafted from manufactured wood and features a clean-lined silhouette. 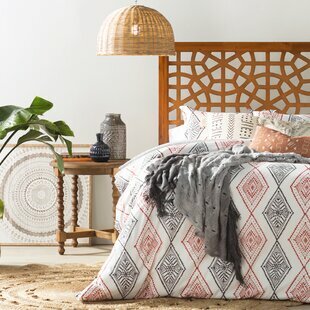 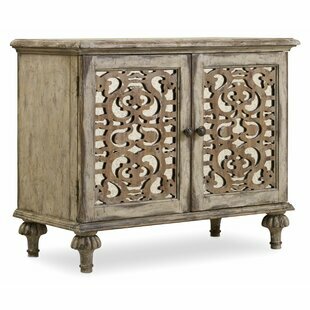 Its neutral solid finish is versatile, but this piece is sure to stand out thanks to a geometric overlay across its two knob pull-adorned drawers. 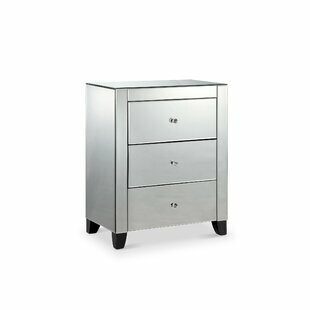 Measures 24" H by 24" W by 18" D. Frame Material: Manufactured Wood Assembly Required: Yes Number of Drawers: 2 Overall: 24 H x 24 W x 18 D Overall Product Weight: 61.16 lb. 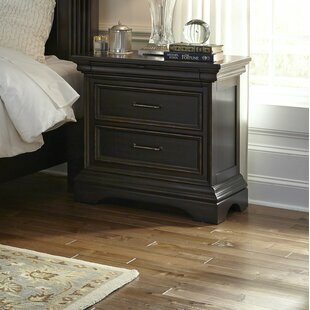 Truly a perfect composition of forms and finishes, this is a modern collection offering bedroom and dining room. 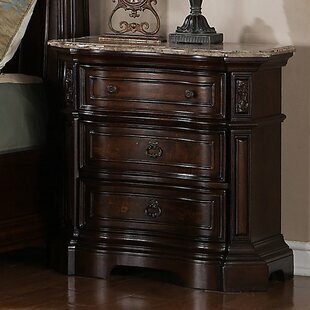 The milk chocolate and dark chocolate finishes complement each other and accentuate the sleek styling and jazzy linden tech veneer patterns. 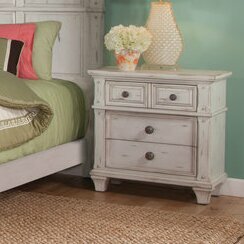 Simplistic satin nickel finished hardware completes the look. 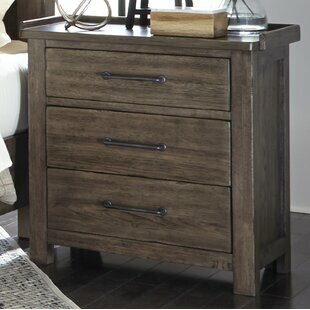 Features such as felt-lined and cedar lined drawers, silver trays, built-in outlets and creative storage options add function to this beautiful grouping. 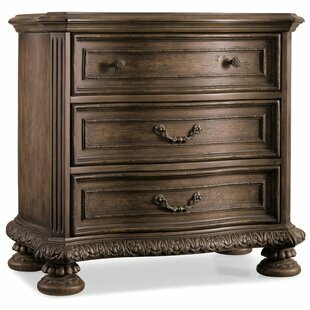 Color: Poplar/Milk chocolate/Dark chocolate Frame Material: Solid + Manufactured Wood Number of Drawers: 2 Overall: 28 H x 30 W x 17 D Overall Product Weight: 54.5 lb. 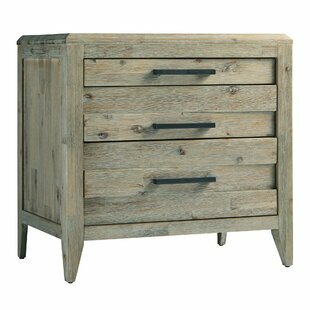 Frame Material: Manufactured Wood Assembly Required: No Number of Drawers: 2 Overall: 17 H x 23.5 W x 17.5 D Overall Product Weight: 77 lb. 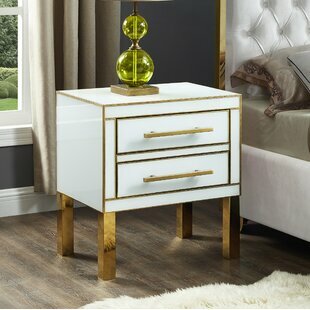 Frame Material: Glass Assembly Required: No Number of Drawers: 2 Overall: 25.5 H x 23.5 W x 16 D Overall Product Weight: 73 lb. 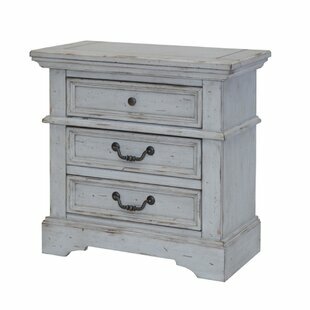 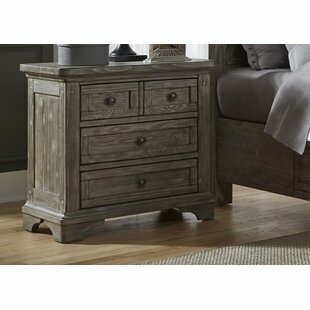 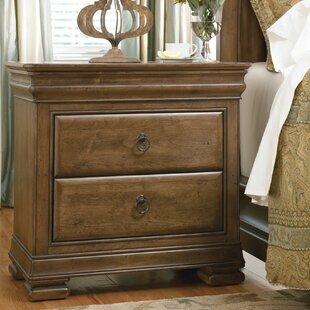 This Hernandez 2 Drawer Nightstand is an updated more transitional take on classic cottage forms. 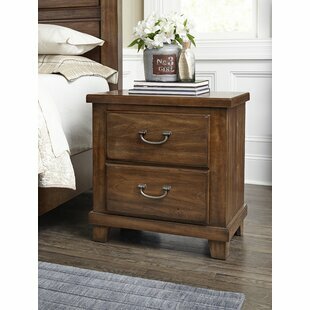 Its the perfect group for todays home that values traditional design in a modernized casual finish. 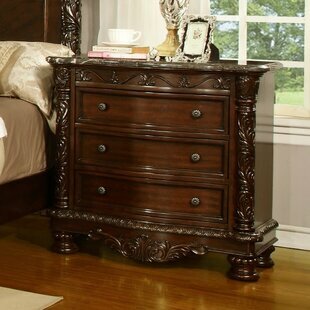 Frame Material: Solid Wood Assembly Required: No Number of Drawers: 2 Overall: 26.25 H x 26.625 W x 15.875 D Overall Product Weight: 53 lb. 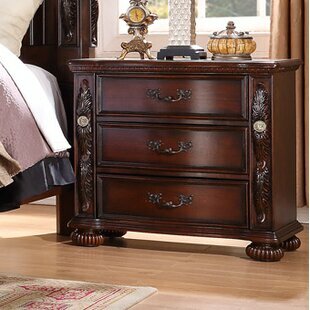 A casual traditional solid cherry bedroom collection that marries generous proportions with eye-catching details. 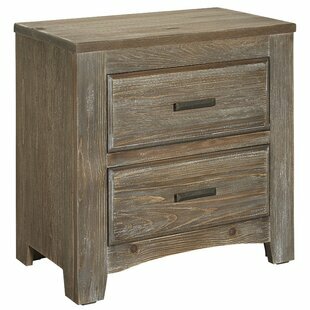 Frame Material: Solid Wood Assembly Required: No Number of Drawers: 2 Overall: 26 H x 25 W x 16 D Overall Product Weight: 69 lb. 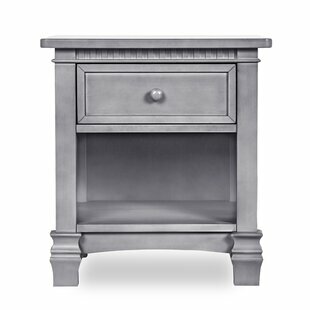 Like all the pieces in the Evolur Santa Fe Collection, our Nightstand is inspired by the Roman architecture, showcasing traditional dentil molding, contemporary routing, and fluting that is timeless and thoroughly modern. 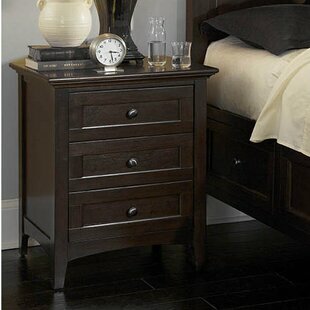 The alluring nightstand has a generous scale that is made to last your child throughout the teen years. 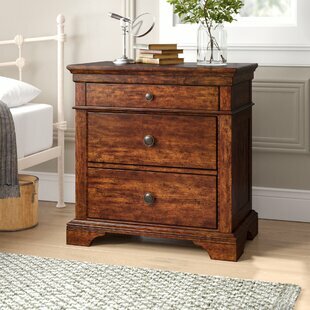 The round wooden knobs, routing lines and imperial feet compliment the refreshing finishes, while the one spacious drawer and an additional bottom shelf provides simple... 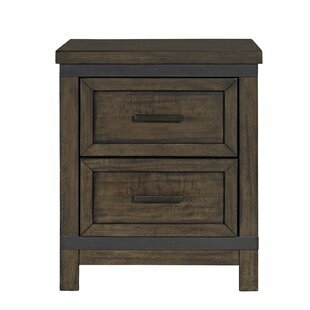 Assembly Required: No Number of Drawers: 1 Number of Shelves: 1 Overall: 23 H x 20 W x 25 D Overall Product Weight: 46.2 lb. 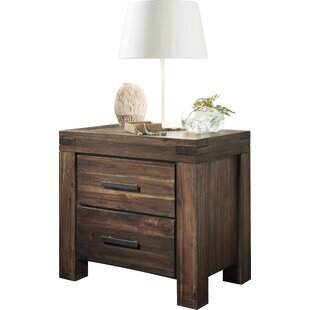 Set the tone for a traditional space in your teens room with this nightstand, a stylish piece that helps keep their ensemble clutter-free. 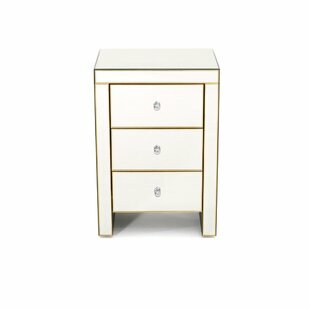 Crafted from solid and manufactured wood, it stands atop turned block feet and features drawers fronted by brushed nickel hardware and recessed paneling. 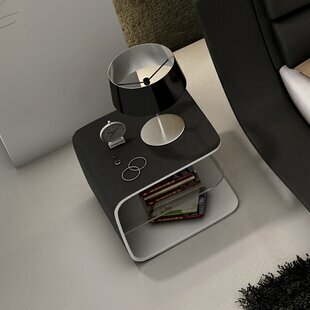 An extendable panel acts as a convenient space to set down a book or a cup of coffee, while three drawers make plenty of room for tucking away small-scale accessories. 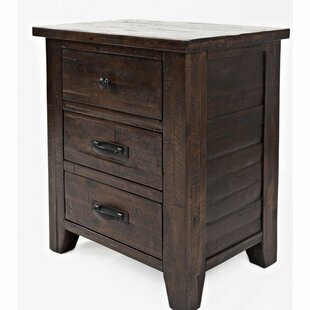 Frame Material: Solid + Manufactured Wood Assembly Required: Yes Number of Drawers: 3 Overall: 30.75 H x 29 W x 16.75 D Overall Product Weight: 73 lb.